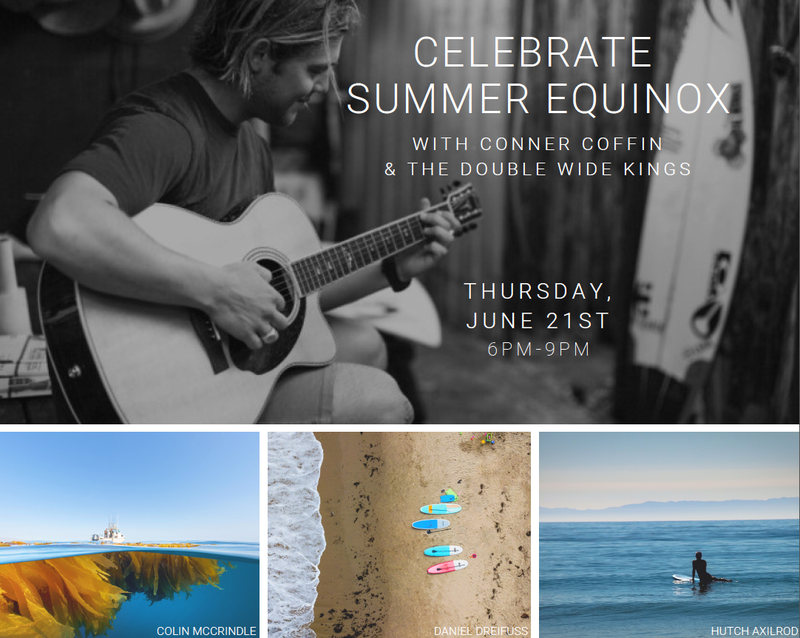 Join Lost Above on Thursday June 21st from 6pm-9pm Celebrating Summer Equinox and our local waters and beaches through art, music, and advocacy! Colin McCrindle, Hutch Axilrod, and Lost Above. We are also going to be grooving to a performance by Conner Coffin featuring Haddon Cord and The Doublewide Kings! 10% of any purchases made during the event will be donated to Santa Barbara Channelkeeper, a local non-profit whose mission is to protect and restore the Santa Barbara Channel and its watersheds. Can't wait to see ya'll there!